On an ordinary day in 2015, Kristi McNutt went food shopping and bought a rotisserie chicken from her local grocery store which she ate for dinner that evening. The next day, Kristi woke up feeling extremely ill, with vomiting and stomach cramps. The next few days she grew sicker and weaker and felt her muscles cramping. Her right arm and legs began to feel wobbly, and by the time her friend came to take Kristi to the Emergency Room, she could barely walk! When Kristi arrived to the ER, she could no longer bare weight through her legs. By early the next morning she had stopped breathing and “coded”. A few days later, blood tests she had done a few days prior revealed that the chicken she ate was infected with campylobacter. This type of bacterial infection can cause severe life threatening consequences. 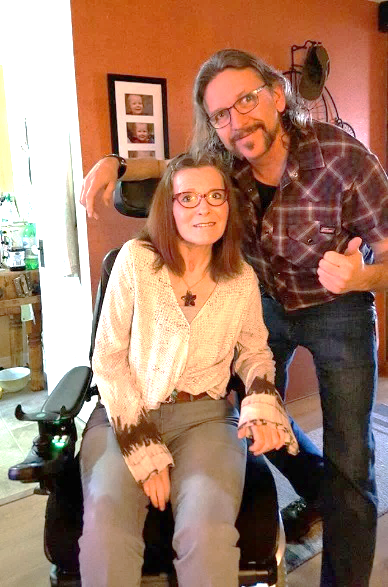 Unfortunately this is what happened in Kristi’s case; the bacteria attacked her GI tract which caused Kristi’s body to react with a syndrome known as Guillian-Barre, or GBS. GBS causes the immune system to attack part of the peripheral nervous system, causing weakness, neuropathy, and eventually muscles cannot be used at all. Paralysis and the inability to breath, an abnormal heart beat, infections, blood clots, and high or low blood pressure are all common symptoms of GBS. 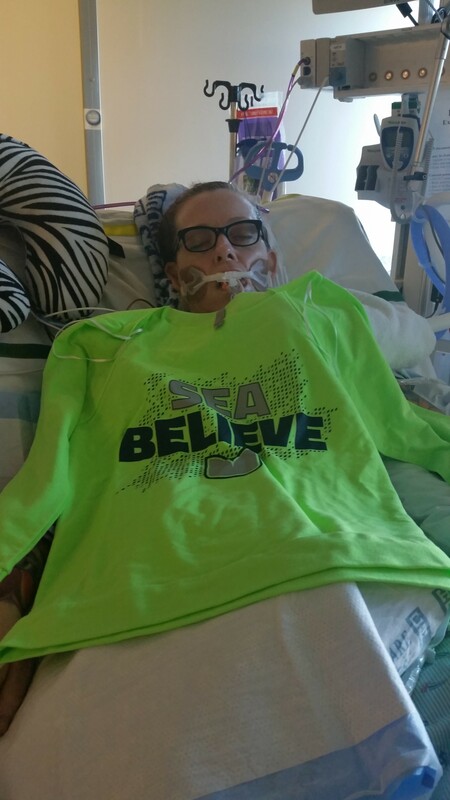 Kristi remained in a state of paralysis, on a ventilator, a foley catheter as well as a feeding tube, and she remained in the ICU for about a month. After making progress, she was transferred to an extended stay rehab facility for nearly 5 months; then she was moved to a skilled nursing facility for an extremely short 2 1/2 day stay when she had to be rushed back to the ICU. She suffered respiratory failure and had to be put back on a ventilator, her body went completely ceptic, pneumonia in both lungs, severe dehydration, c-diff and megacolon. She spent a month there, then was moved to a ventilator weaning facility were she spent 2 months. Then, finally an acute rehab facility were she began some consistent physical and occupational therapies. Soon after, Kristi was finally able to leave, but ended up moving in with her parents as she required full-time around-the-clock medical care and assistance. Kristi would unfortunately never be the same again, and would continue to fight for her life! 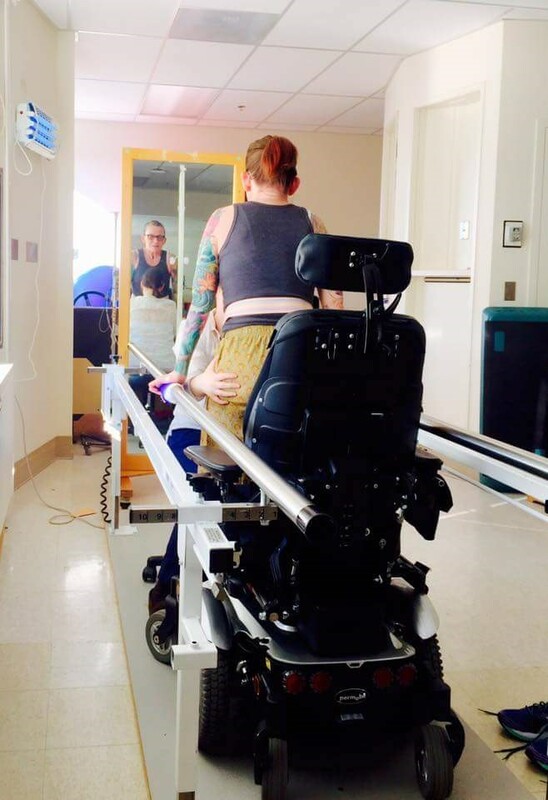 Kristi still requires extensive physical therapy, medications, rehabilitation, and specialty equipment. She has been struggling not only emotionally, but financially as well. 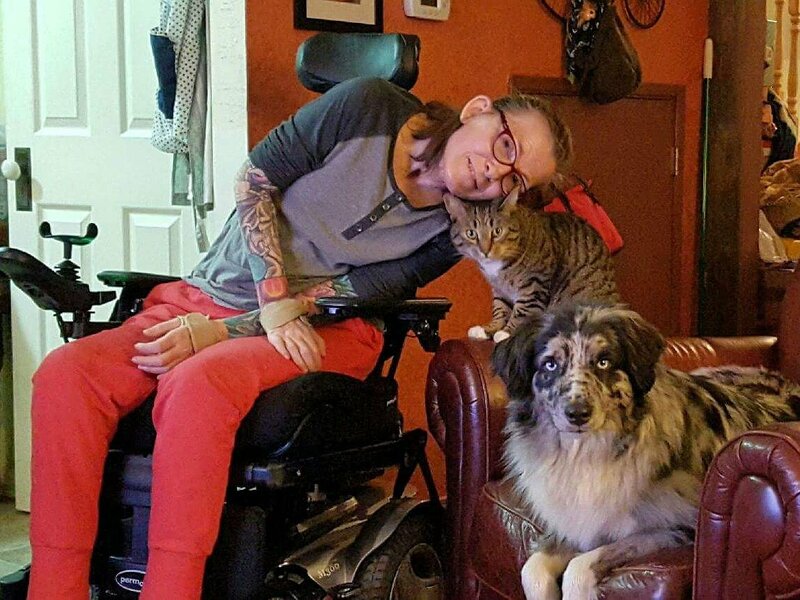 No longer able to work, and relying on a full-time wheelchair, Kristi pays out-of-pocket for a portion of her supplies and medical care. Her medical bills and living expenses are quickly adding up to more than Kristi can handle on her own. Even with health insurance, only a certain number of visits for outpatient physical and occupational therapies are covered, and then Kristi will be required to pay out-of-pocket for her care. She has been referred by her physician to a program called Pushing Boundaries who works with people like Kristi with neurological deficits like GBS. Kristi would like to regain back her independence but the program at Pushing Boundaries will cost upwards of thousands of dollars, as it is not covered by her insurance. More than ever, Kristi would like to gain back her independence and move back home, but she will need extensive home modifications and a caregiver. Kristi cannot afford her care on her own, and she desperately needs your financial support. To help offset such expenses, a fundraising campaign in Kristi’s honor has been established with Help Hope Live, a trusted nonprofit organization that has been providing community-based fundraising guidance to patients and their families for more than 30 years. All donations are tax-deductible to the full extent allowed by law, are held by Help Hope Live in the Northwest Catastrophic Illness Fund, and are administered by Help Hope Live for illness-related expenses only. To make a donation to this fundraising campaign, click on the yellow DONATE NOW button. For more information, please contact Help Hope Live at 800.642.8399. Thank you ahead of time for your thoughts, prayers and generosity during Kristi’s recovery. Any donation amount, no matter how big or how small is one step closer to Kristi’s independence!